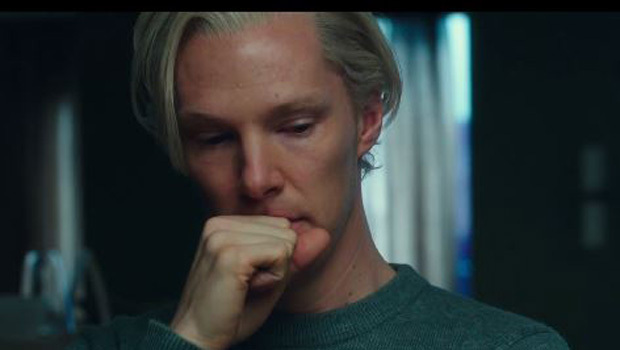 Check out the trailer for the highly anticipated autumn release The Fifth Estate, which sees Benedict Cumberbatch taking on the role of WikiLeaks’ controversial founder Julian Assange. Sherlock is back – but this time he’s sporting a white mop of hair and a political agenda. 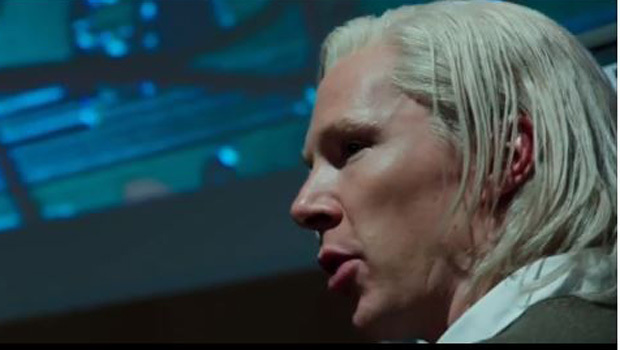 The trailer for Benedict Cumberbatch’s new film, The Fifth Estate, has just hit screens. In the new movie, a political thriller which depicts the rise of WikiLeaks and which co-stars Laura Linney and Stanley Tucci, Cumberbatch swaps his iconic Sherlock deerstalker hat in favour of Julian Assange’s signature white hair to play the role of one of the world’s most divisive and controversial figures. ‘A lot of the film will address WikiLeaks, which achieved an extraordinary revolution in modern media, the transparency of information,’ Cumberbatch told Rolling Stone. ‘And that’s not a bad thing: we need to look at how these structures and the hypocrisies evolved. They tell us what to do, they take our tax money and do with it what they please, and then behave immorally. The good work that was done by that organization is celebrated as much as examined in the film,’ he continued. The film will be released on 11 October. Don’t miss the trailer below and let us know what you think of The Fifth Estate.